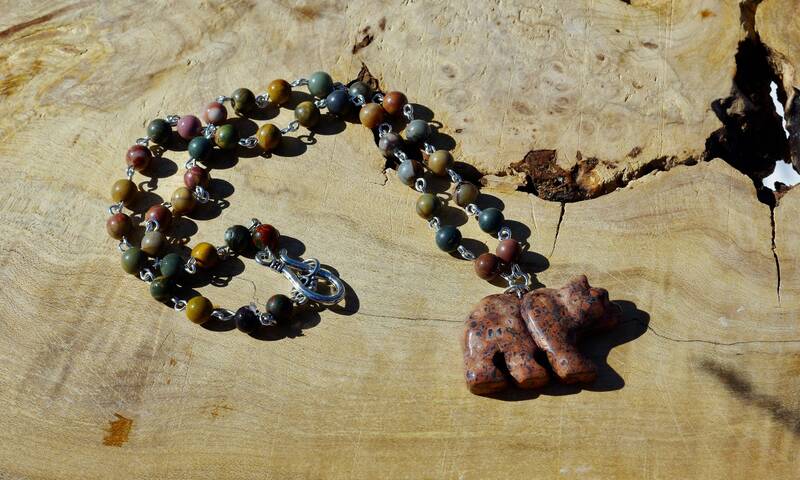 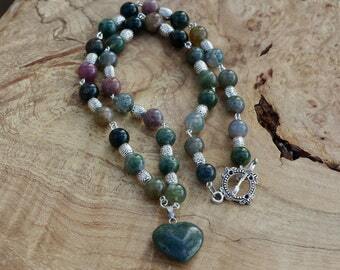 This necklace has beautiful hand wired 6mm polished Picasso jasper stone beads that have a sweet sterling silver wired leopard skin jasper bear pendant attached. 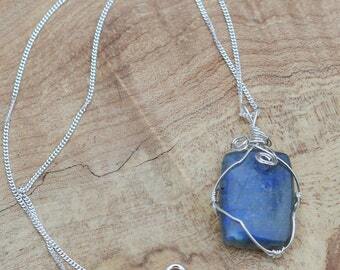 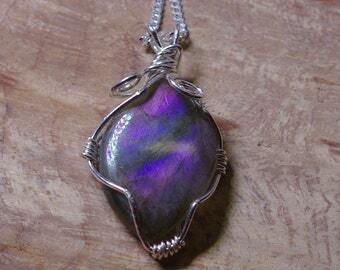 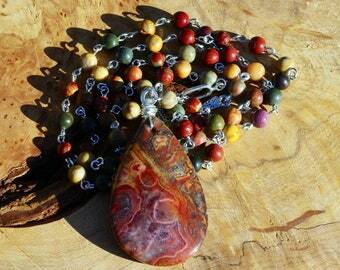 The entire necklace glows in firelight, sunlight, or any light. 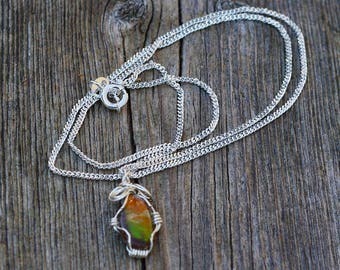 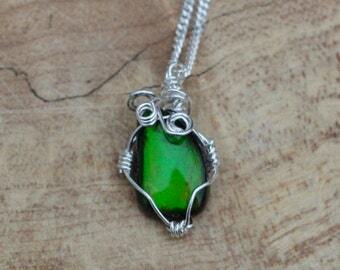 This would look stunning when worn with a natural tones outfit. 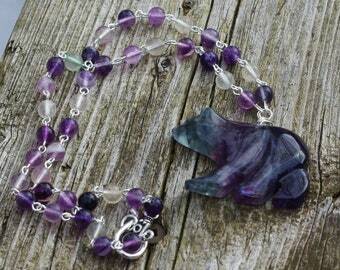 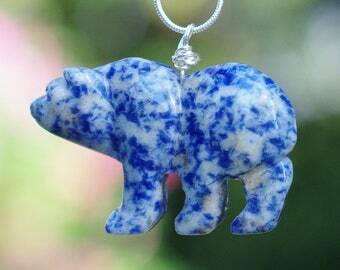 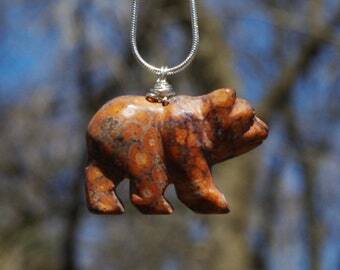 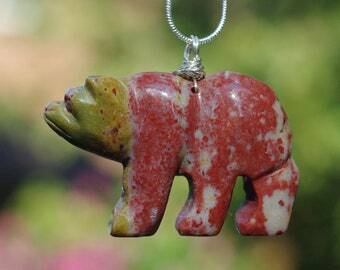 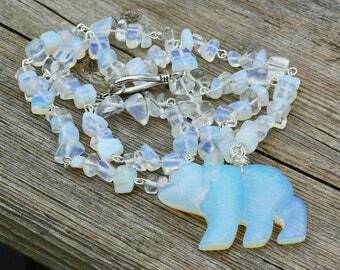 The necklace is 22" ( 56 cm) in length and the 1" (2.5 cm) bear pendant hangs down. 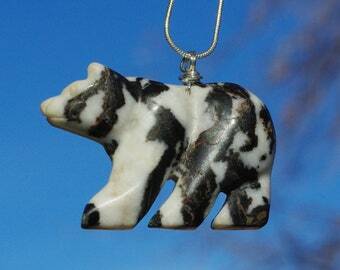 Leopard Skin jasper in particular is historically associated with bonding animals to children. It was considered a stone for cats.